The Wilberforce theme comes with 2 different Sermon Template options. 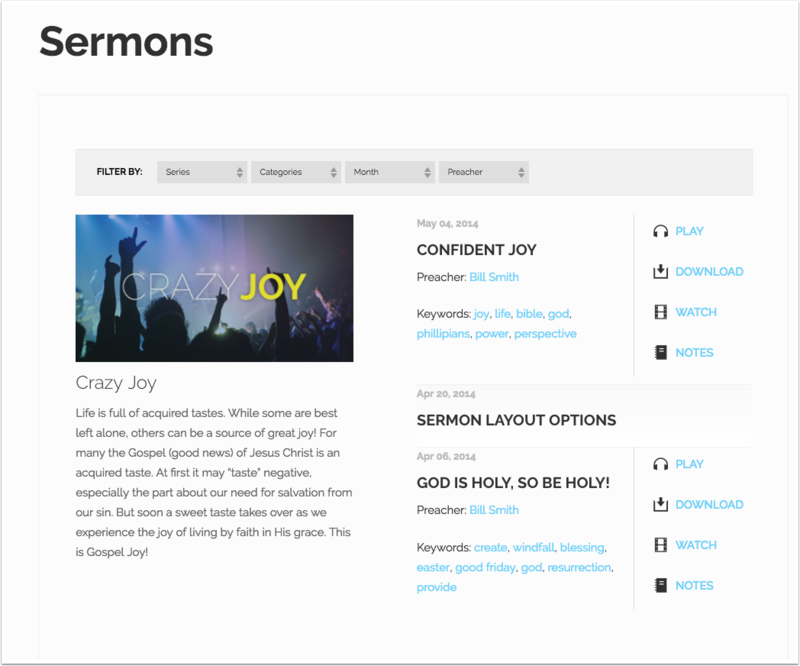 These 2 options are called Sermons Layout 2 and Sermons Layout 3, respectively. 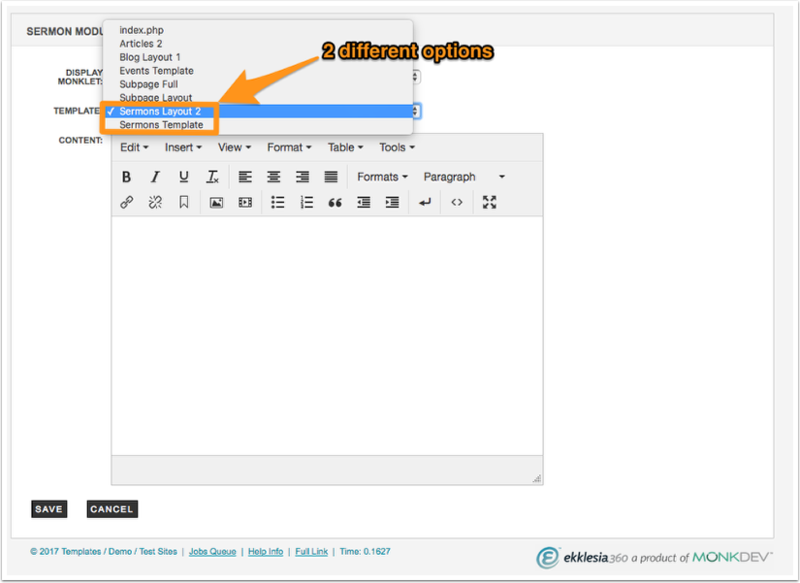 You can select which layout you wish to use by going to CONTENT > Sermons > Settings and then select the Layout you wish to use from the Template dropdown field. See the screenshots below for a visual of this. 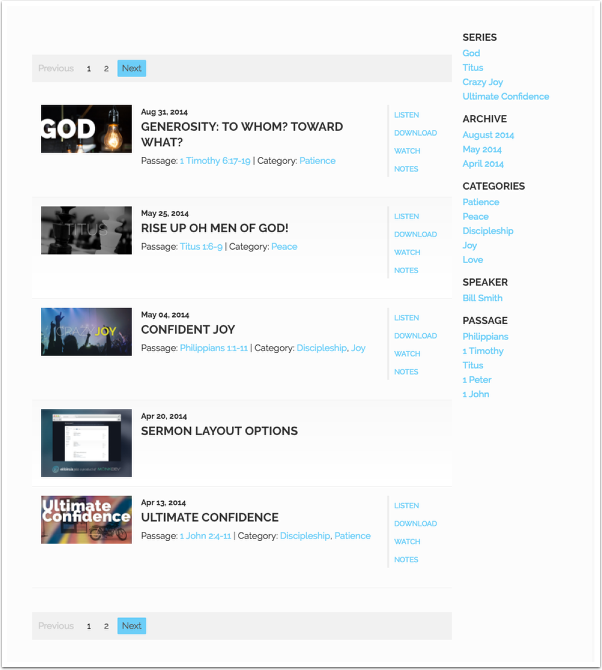 Sermon Layout 2 is desinged to display sermons in reverse chronological order, with a sidebar column that allows users to filter down to find the sermon the are looking for more easily. To find out more information on how this layout is designed, please review the Sermon Layout 2 article in this theme setup guide found here. Sermon Layout 3 is desinged to display the Sermon Series that is marked as "Current" and within this view, display all of the sermons within that series. It also has a filter bar on top that allows users to filter down to find the sermon the are looking for more easily. To find out more information on how this layout is designed, please review the Sermon Layout 3 article in this theme setup guide found here.